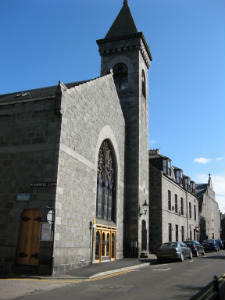 Our church is situated in the centre of the city while our folk come from the city and beyond. You will find us here. We are a friendly and welcoming fellowship where you will quickly be made to feel at home. Our Sunday service commences at 11am and contains a mix of traditional and modern praise. Please browse our website for more information about the church. You can find out when our activities take place in our calendar here. If you have any questions, please contact us at the email address below.